So I got my shiny new New Orleans Recycling bin and started filling it up. Bad news was, I had no idea when they were coming. 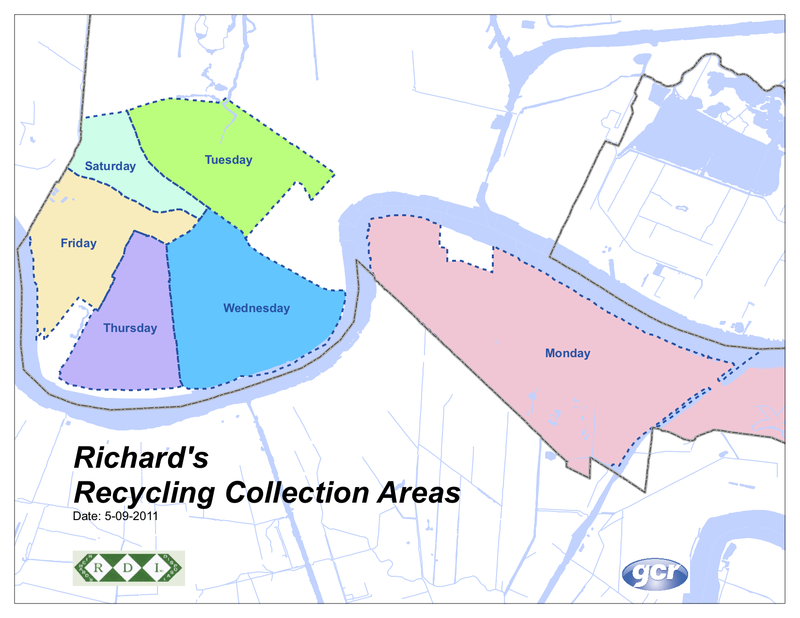 So I emailed Richard’s Disposal Service (btw, I love that the trash company does email so effectively) and they emailed me a route map and the guide for what can go in the can. Don’t get me wrong, I’m sad to see Phoenix go since they really took an entrepreneurial risk in entering a market know one knew was there and I wish them well. 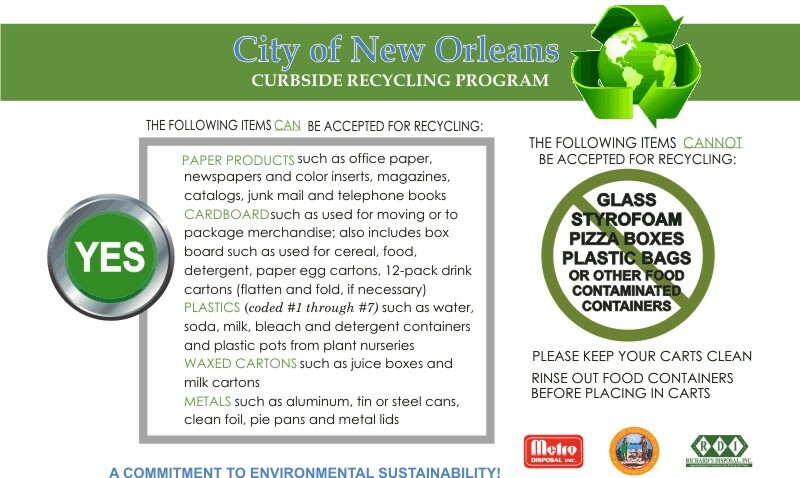 I’m so excited to have the City of New Orleans recycling and to have a nice can to put stuff in. Feels like the 21st century 🙂 If you need a recycling can, go to the city site and request one here. If you are with another disposal service and would like me to make contact, let me know in the comments. I live in Gentilly. There aren’t coming to pick up in the neighbourhood?? Even though they gave me a container?? I’m seeing what your’e seeing on the map, but I’m not sure if it’s just not their area or they’re phasing it in. So I figured it out! I am with Metro, not Richard’s. They are picking up my recycling today!! Super cool! If you get a route map I’d be happy to post it. I live in Gentilly. I don’t know what day they pickup. Hi Gary and Connie, I’m not sure when Metro picks up. I’ll reach out and see if I can find a schedule. Metro picked up my recycling on Thursday!!! The link below will be helpful for Gary and Connie.